​If you already hate Gilbert Arenas, nothing of what you're about to read will surprise you. If you're one of the few who somehow doesn't, perhaps this will change your opinion. 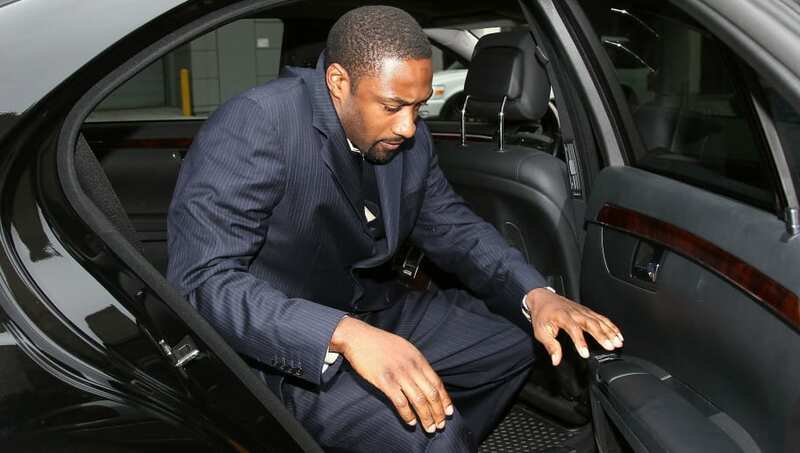 The former Washington Wizards guard revealed he told former teammate Javaris Crittenton he'd burn his car while he was in it and he'd provide Crittenton guns to shoot him with. ​​I didn't realize it was possible to dislike someone even more. But, that's the natural response to learning what goes on in the mind of someone so egotistical they ruined a teammate's NBA career. The story goes Crittenton was down in a popular card game and Arenas, per usual, was relentless in his smack talk. It escalated to a point where Crittenton was down a significant chunk of his contract and ​Arenas refused to stop poking the bear. One thing led to another and all of a sudden Arenas told Crittenton he's going to burn him alive. After Crittenton responded by saying he'd shoot him, ​Arenas took things a step further and offered to bring in the gun for Crittenton to do the deed. ​​Say what you want about Crittenton being an idiot for bringing in a gun of his own and then eventually killing someone else years later, but this all could've been avoided if Arenas didn't think he was the second coming of Jesus Christ. Let Crittenton wallow in the misery of losing over $100,000. That should be enough pain for someone to suffer through. It doesn't need to get to the point of inciting murderous temptations in your own teammate. Just a terrible look for everyone involved here.